It’s almost Christmas! 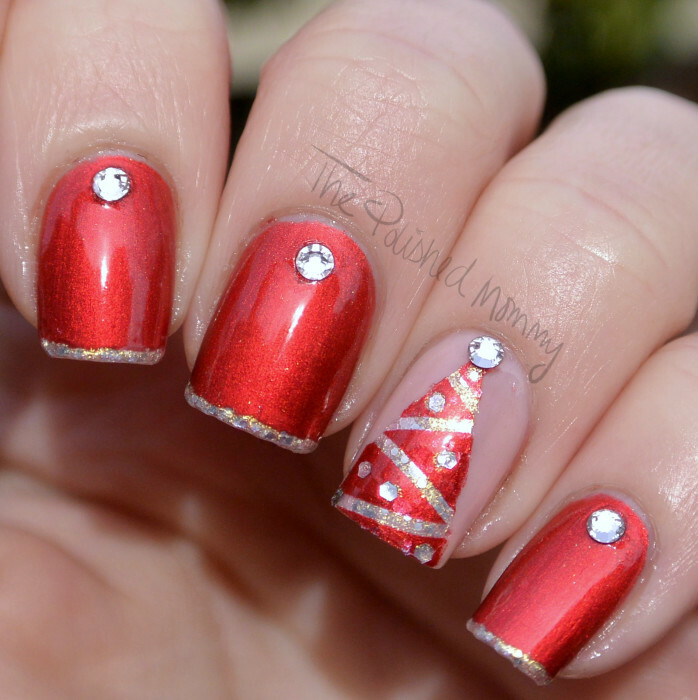 If you’re still wondering how you should do your nails give this elegant Christmas tree nail art a try. These are a variation on a look I did 2 years ago (how time flies!) but instead of doing the garland on top of the tree I used striping tape to cover the base color before adding the red. I used Delush Glam Squad with Essie Hors D’oeuvres to thinly line the tips of my nails, and then I added Swarovski crystals to added a bit of bling. 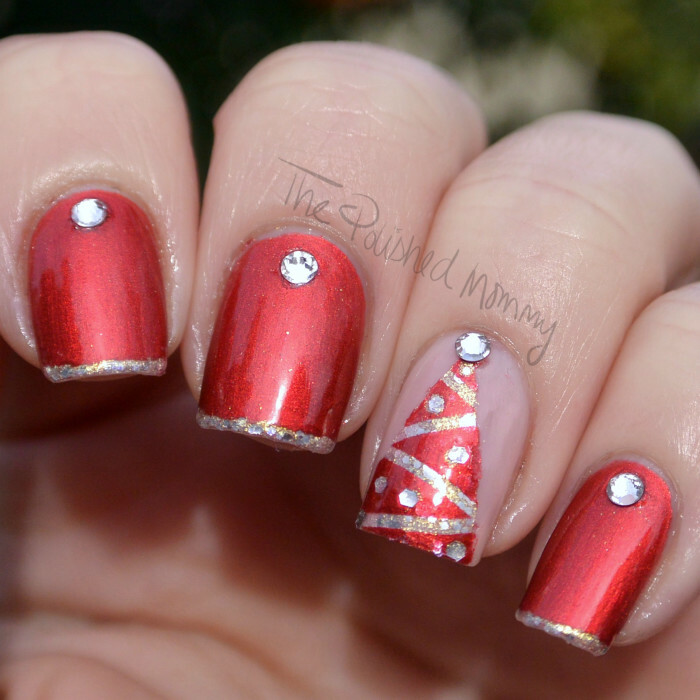 For the accent nail I used Sally Hansen Petal Pusher (old formula) and taped off my Christmas tree, then used Essie Hors D’oeuvres as the base color. After it was dry I applied some striping tape and added a layer of Delush Glam Squad. For the ornaments I hand-laced some of the glitter from Essie Hors D’oeuvres. 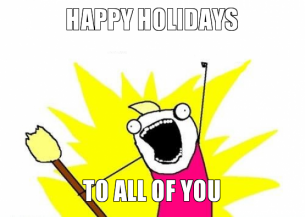 I hope everyone has a very Happy Holiday and an even better New Year! Pretty! I love the tree! 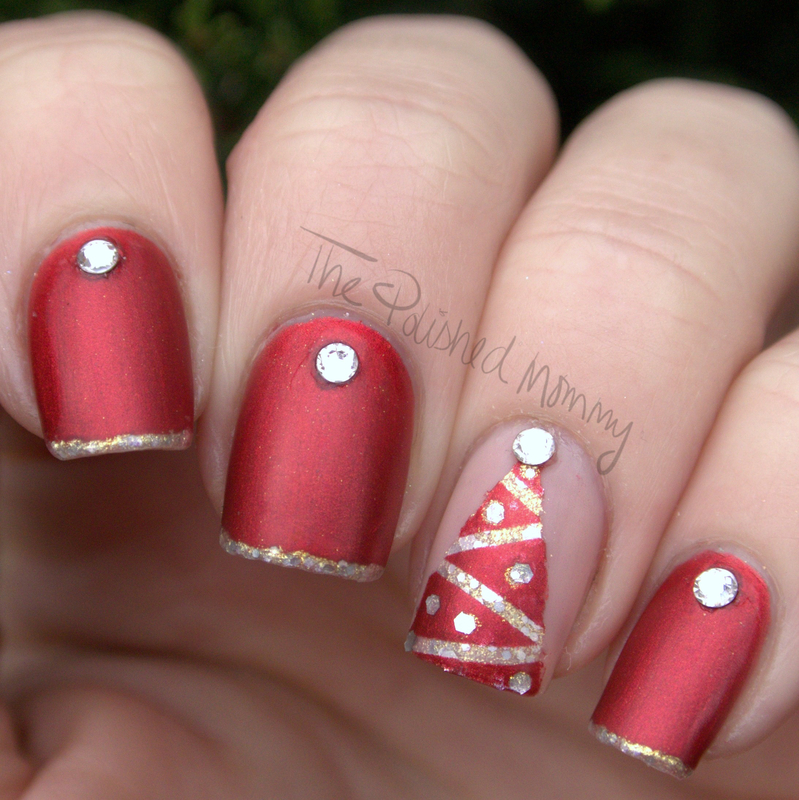 This is a classy look for Christmas! I LOVE your ultra thin tips and the fact that you used that gorgeous Essie for them. Awesome Christmas mani, lady 🙂 Happy Holidays to you, too! !